Forewind has abandoned plans for the final phase of its Dogger Bank offshore wind farm, scrapping over 30 per cent of the project’s expected total capacity. The UK-Norwegian consortium, including SSE and RWE Innogy UK, said it will discontinue work on the 2.4GW Dogger Bank Teesside C & D phases to focus on developing the first four projects which make up the giant Dogger Bank development. 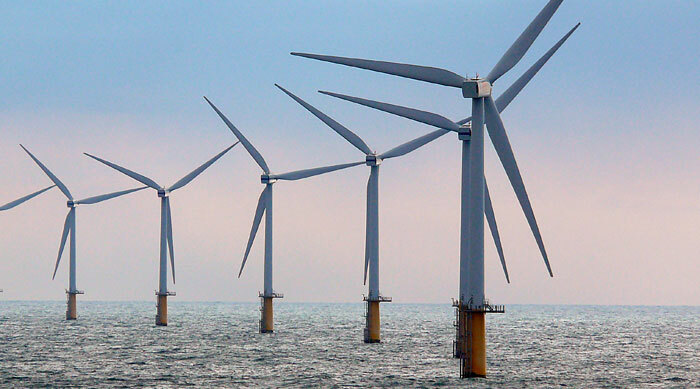 Forewind’s Dogger Bank Zone already has consent for 4.8GW of offshore wind capacity made up of four 1.2GW projects, following the government greenlight for the Dogger Bank Teesside A and B projects on Wednesday. Forewind said it will focus on providing the “huge commitment” and “significant resources” needed by the first four projects. The discontinued projects have been removed from the organisation’s portfolio and the rights to develop that area of seabed, along with the remainder of the Dogger Bank Zone, have been returned to The Crown Estate, Forewind said. SSE and RWE Innogy UK are joined in the equal-share consortium by Norway’s Statoil ad Statkraft.